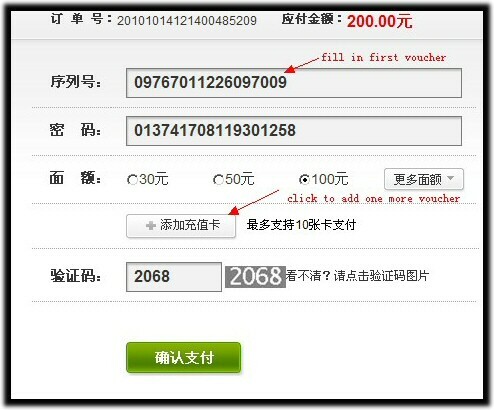 Paybone suppots you to use mobile vouchers, web-money and game cards to top up voip account instantly, you can buy these vouchers and cards from mostly mini-supermarkets, newspaper bars and Grocery stores in China, below is an example of using China Mobile voucer to do the rechage. 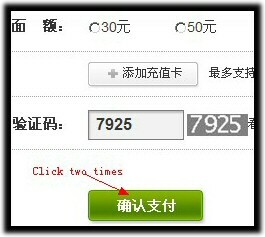 Wait for process, it might take one minute, do not close or refresh the window! P.S. 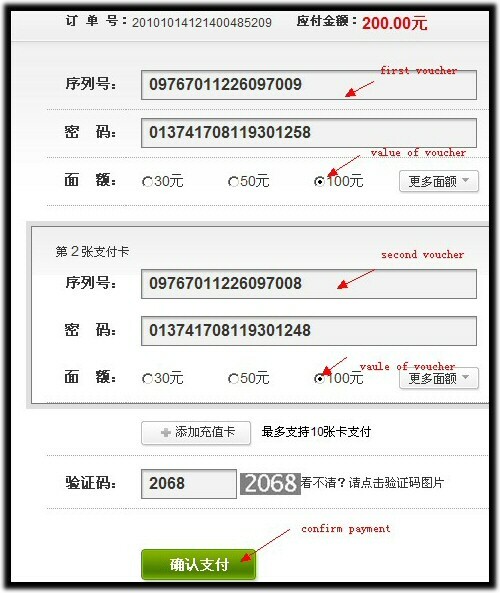 : If you have any question regqarding payment, please forward the order email to service@paybone.com, we will check for you.